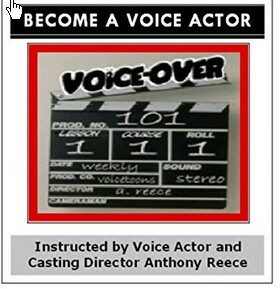 VO101 and Anthony Reece offer combination voice over coaching and voice over training plans which include both the online course, AND private voice over lessons. Here are the current voice over coaching and combo training plans available, and the items included in each voice over coaching package. These are the best values for those with “basic” voice over, acting, or stage experience. These plans for those voice over students looking for both the online self-study plan, along with private voice over lessons with Anthony Reece via LIVE Video. You enjoy the online course, 2 to 5 private lessons, demo discount, and more shown based on the plan! The Bronze Plan – you enjoy the benefits outlined below. – Two 60 minute private LIVE Video lessons on any voice over related subject matter. – 24/7 life-time access to the VO101 Online Beginner Self-Study Course. – Access to over 20 additional Power Videos within the online course area as a student. – $25 off any combo, or 3 pack voice over demo production after training. The Silver Plan – you enjoy the benefits outlined below. – Three 60 minute private LIVE Video lessons on any voice over related subject matter. – 24/7 life-time access to the Online Self-Study Course. – Access to over 20 additional Power Videos within the online course. – Technical and business advise via email for 30-days from enrollment. – $50 off any combo, or 3 pack voice over demo production after training. The Gold Plan – you enjoy the benefits outlined below. – Four 60 minute private LIVE Video lessons on any voice over related subject matter. – Audition and self-recording feedback during LIVE training. – $75 off any 3 pack voice over demo production after training. The Platinum Plan – you enjoy the benefits outlined below. – Five 60 minute private LIVE Video lessons on any topic or subject. – Access to over additional 20 Power Videos within the online course. – $100 off any 3 pack voice over demo production after training. * To get started select a desired Combination Coaching Plan below. After payment you are sent to the VO101 lesson form to complete your online student area enrollment, and to share goals and lesson objectives. Anthony will contact you within 24-hours to discuss your plan and set lesson times..